A nice little selection of holiday cottages were featured by us from "Cumbrian Cottages", in the week of 21st February 2014. There's several to choose from, so you may find something to suit your cottage holiday needs in Cumbria. You can have a look at the new cottages recently featured; but before you head off to see what Cumbrian Cottages has to offer you - I'd like to give a special mention to this cottage: Netherend in Guardhouse, near Keswick. 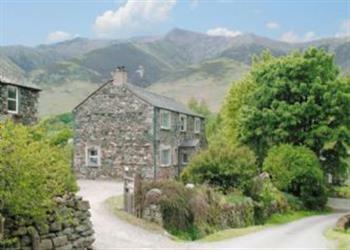 Netherend is a large holiday cottage located in the north of the Lake District. Sleeping 10 people, this cottage is a great place to share with friends and family. And with a couple of wood burning stoves, you'll have some cosy evenings too!